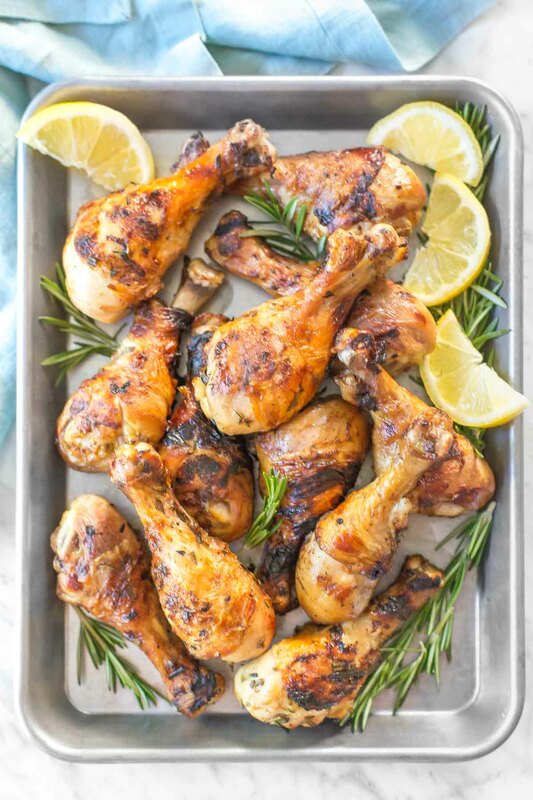 These rosemary beer brined chicken drumsticks are a fresh, flavorful way to enjoy chicken this summer, and you only need 5 ingredients to make the super simple brine. Grill them or bake them. Makes enough brine for 8 drumsticks. We have been loving our grill lately. Not having a/c during a few major heatwaves will pretty much force you to get used to grilling, but I’ve been having so much fun testing out grilling recipes that I’m planning to keep it up even after we remedy this air conditioning situation. We’ve been literally grilling everything, even spaghetti squash. 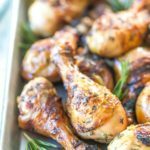 Chicken drumsticks have been on repeat in our house because they’re kid friendly and they’re super versatile. They’re also less likely to dry out than traditional chicken breast, but I still love brining them for additional flavor. Grilling them really takes them to a whole new level by getting the skin nice and crispy, with gorgeous grill marks. Of course, you can totally make these in the oven, but if you have the option to grill, please do. 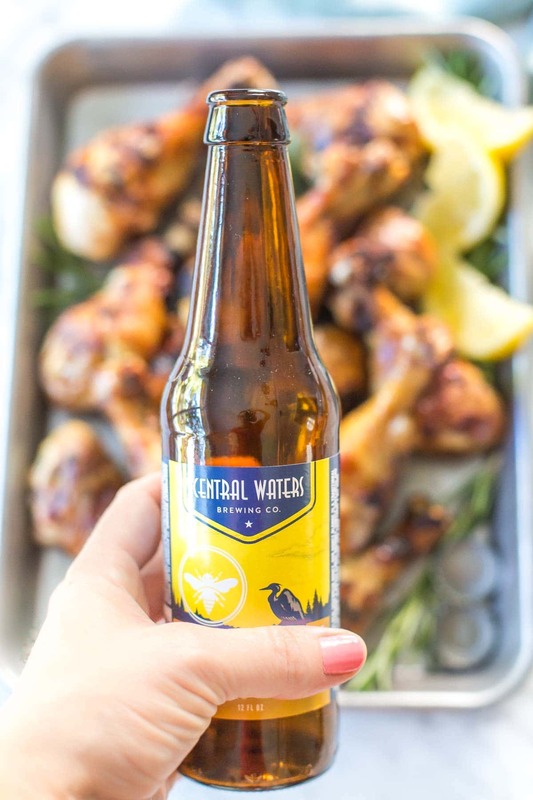 To brine your drumsticks, add your brine ingredients and chicken to a large zip-top bag and shake it well. 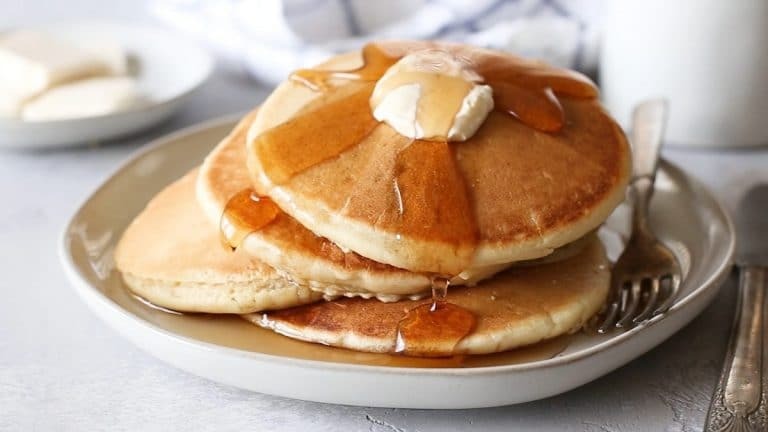 You don’t even need to dirty a whisk or spoon. Just make sure push most of the air out of the bag before sealing. To make things even easier, try putting your zip-top bag into a large bowl while you’re adding all of the ingredients. 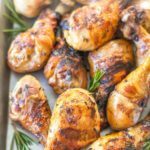 How long should you brine chicken? Ideally, you want to brine your chicken overnight. If you don’t have time for that don’t worry. Just get your chicken in the brine as soon as you can. I typically do it the morning I plan on cooking it. This gives it plenty of time to sit in the brine, but I recommend a minimum of one hour to get the flavor to take hold. Once your chicken has brined long enough, remove it from the bag and discard the brine. Whatever you do, please don’t wash or rinse your chicken. Just pat it dry before grilling or roasting. Preheat your grill to medium indirect heat (about 400˚F). That means you don’t want the heat source directly underneath the food. This will prevent flare ups and burnt chicken. 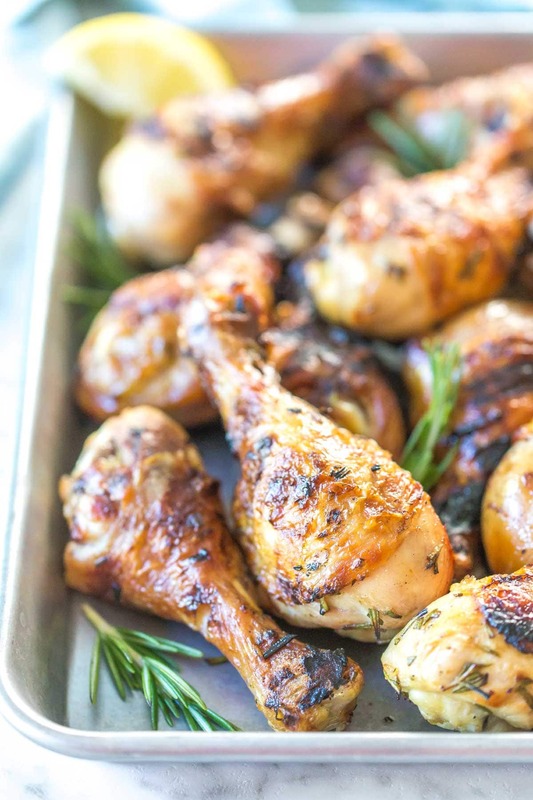 Grill your chicken for about 15 minutes per side, or until the internal temperature reaches 165˚F. Always use a meat thermometer if you aren’t sure your chicken is fully cooked. If you want to bake them in the oven, preheat your oven to 400˚F. Line your baking dish with parchment paper or non-stick aluminum foil. Bake for 30 – 40 minutes, turning once to make sure you get crispy skin. Bake the chicken until it reaches and internal temperature of 165˚F. I think chicken always takes a little longer in the oven than it does on the grill, but I think it’s just a matter of the skin not getting as crispy. Since dark meat tends to be a little more forgiving than white meat, I prefer to leave it in a little longer. Combine all ingredients in a large bowl or zip top bag. Shake to mix ingredients. Refrigerate until ready to grill. Preheat grill for medium indirect heat. 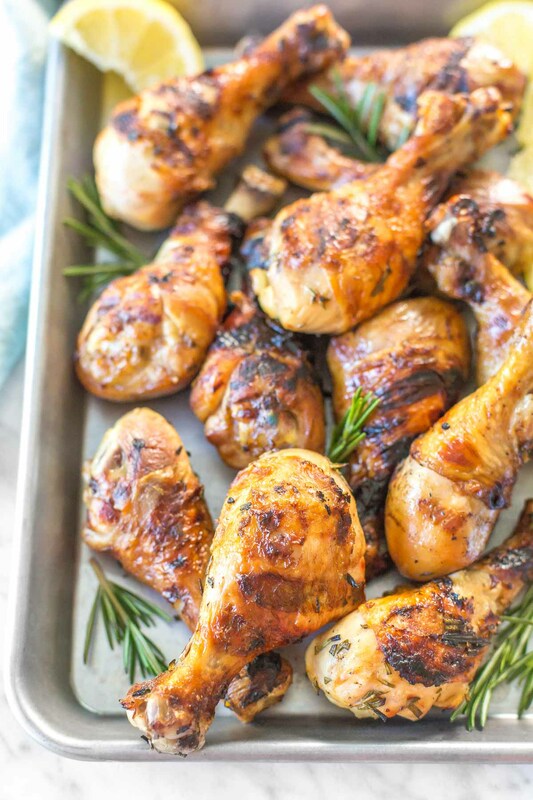 Grill drumsticks for about 30 minutes, turning once to prevent burning, or until internal temperature reaches 165˚F. Remove from grill and let rest for about 5 minutes before serving. Preheat oven to 400˚F. Bake for 30 – 35 minutes, or until internal temperature reaches 165˚F. Remove from oven and let rest for about 5 minutes before serving.